Jordan Auctioneers, Newbridge successfully sold a superb block of land with an old Farmhouse and Yard on approximately 93 acres at Bogganstown, Co.Meath by Public Auction for €830,000 on Wednesday last. Before an attendance of around 25 people the land was offered for sale in two lots but it quickly became evident that the interest was for the entire property. Bidding opened at €775,000 with two active bidders for the entire holding up to €810,000 at which stage the property was placed on the market. Two final bidders fought it out before the hammer fell at €830,000 equating to just under €9,000 per acre. One of the strongest selling points according to Auctioneer Clive Kavanagh was ‘it’s accessibility to the M4, M3 & the Airport’. The property included a farmhouse, in need of renovation and a number of sheds including stone outbuildings. The land was all in grass, in good sized divisions with some superb mature timber. The property was bought by a Solicitor acting in trust for an undisclosed client. Jordan Auctioneers, Newbridge successfully sold 39 acres of top quality agricultural lands at Oulart, Co.Wexford by Public Auction on Wednesday last. Before a good attendance of around 20 people bidding opened at €300,000 with 2 active purchasers bidding up to €480,000. At this point the Auctioneer consulted with the vendors and the entire was placed on the market before another 2 bids were forthcoming and the hammer fell at €490,000 equating to €12,600 per acre. 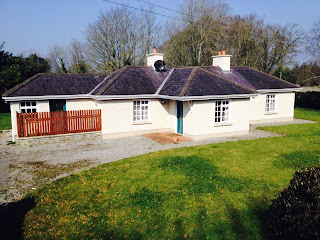 The property was in an excellent location halfway between the towns of Gorey and Wexford. The lands are currently in stubble and laid out in 2 divisions. They are described by Clive Kavanagh of the selling agents as ‘excellent quality suitable for any number of uses’. In addition to this there was a derelict farmhouse & yard which provided some potential for a new purchaser to apply for Planning Permission for a replacement. The eventual purchaser is believed to be from the locality and Clive is quoted as saying that the ‘land had generated good interest from the outset’ and the vendor was delighted with the overall result. 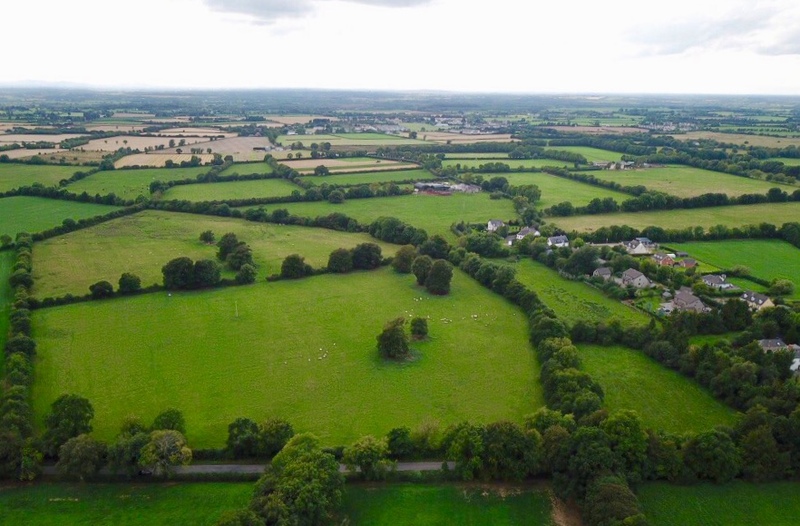 Jordan Auctioneers have just been instructed in the sale of c. 20 acres at Lughill, Monasterevin which is located just off the Monasterevin/Athy Road (R417), 3 miles from Monasterevin and near Kildangan Village. The land in total comprises 20 acres of top quality land currently in stubble and suitable for all farming enterprises. The land has frontage on 2 roads and is easy accessible off the R417. The property is for sale by Public Auction on Wednesday 26th September 2018 @ 3.00pm in the Keadeen Hotel, Newbridge (unless previously sold) and Jordan’s are quoting €240,000. Additional information is available from Paddy Jordan or Clive Kavanagh on 045 – 433550. Jordan Auctioneers are delighted to bring to the market a charming detached cottage with yard on circa 2.8 acres at Mullacash, Naas. This is an excellent location close to Two Mile House (4km) Kilcullen (6.5km), Naas (7.5km) & M7 (11km). The cottage is set back from the road and approached via a tarmacadam avenue. It extends to circa 153 sq.m (1,645 sq.ft) and provides 4 bedrooms, sitting room, kitchen, utility and bathroom. Outside there are mature lawns and various raised beds. § 4 span hay shed with lean- to. Partially lofted and secure in one section. § Open lean- to shed. § Outbuilding and stores fully roofed and secured. The land is adjacent to the cottage in a well sheltered paddock, ideal for a pony or other uses. The property is to be Auctioned on Tuesday the 16th October 2018 at 3pm in the Keadeen Hotel, Newbridge and the agents are quoting €350,000. Further information is available from the office on 045 – 433550. 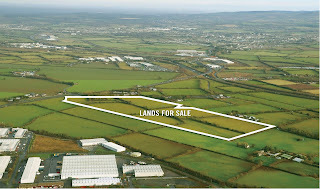 Jordan Auctioneers are bringing to the market 57 acres at Ballymacwilliam, Edenderry, Co. Offaly. The property has frontage onto the R441 and is within 5km of Edenderry, 5.5km from Rhode and 15km from Rochfordbridge / M6 (Junction 3). The lands are also close to a number of other villages including Castlejordan, Ballinabrackey, Daingean and Carbury. Lot 2: Circa 17 acres of forestry (accessed via a right of way) with a premium of circa €1,800 per annum guide price €50,000. Lot 3: Entire 57 acres. The property is for sale by Public Auction on Thursday the 18th October 2018 @ 3.00pm in the Keadeen Hotel, Newbridge (unless previously sold) and Jordan’s are quoting €410,000 for the entire. Additional information is available from Paddy Jordan or Clive Kavanagh on 045 – 433550. 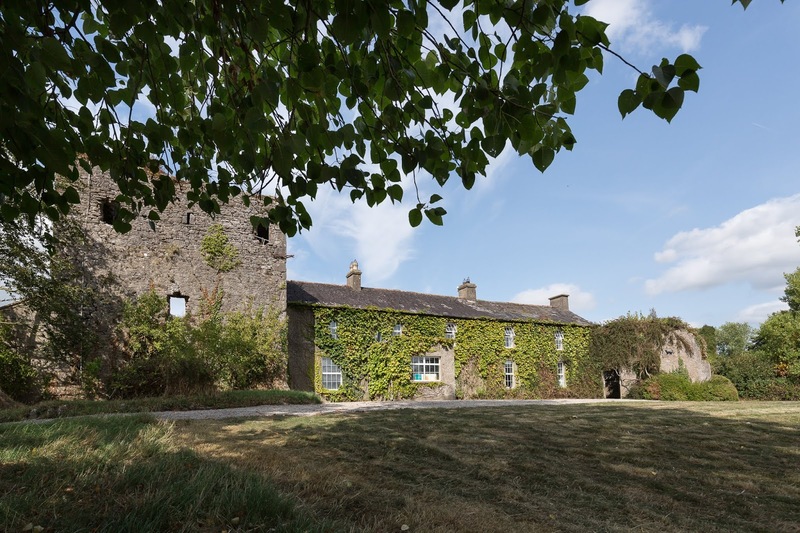 Paddy Jordan of Jordan Town & Country Estate Agents, Newbridge, Co. Kildare together with John FitzGerald of Dougan FitzGerald, Clonmel, Co. Tipperary have just been instructed on a very interesting property called Kedrah Castle Farm in Cahir. This farm which comprises a former dairy farm and equestrian property with a quarry includes a period residence which needs to be renovated. The property is laid out in 12 divisions all in permanent pasture and with the land partly post and railed with excellent shelter and internal roadways giving access to nearly all paddocks. There are several streams ensuring never failing water supply. The property has a large limestone quarry which is not operational at the moment but has supplied rock to Cahir By-Pass (1985 and 1990) and the M8 (2007/2008). A professional assessment has been carried out of the quarry in November 2017 and shows to have considerable reserves of limestone rock. The quarry has its own access road from the R639 and includes a site office and weighbridge. The residence is an old stone and slate farmhouse extending to c. 2,400 sq.ft. and is attached to Kedrah Castle (a tower house in ruins) with some antiquities. Whilst it needs considerable upgrading it is a wonderful setting with panoramic views of the Galtee and Comeragh Mountains. The extensive concrete yard includes an array of buildings including 4 open sheds (2 with lean-tos) and useful workshop with inspection pit, 13 stables, 2 tack rooms, feed house, large sand arena and lunge ring. Whilst the farm was originally run as an intensive dairy farm it has been used as an equestrian centre, including livery and has hosted many pony club camps and rallys, hunter trails, carriage driving competitions, One and Two Star Eventing Ireland Horse Trial Events. It has also hosted an event called “Mayhem” which was a 5km cross country obstacle course and used to film “Ireland Fittest Family” an RTE TV production. Its location is of paramount importance just sitting off Exit 10 on the M8 Motorway, less than an hour from Cork and approximately 2 hours to Dublin. Commenting on the sale Paddy Jordan said “that whilst the quarry does not currently have planning permission there is precedent having been used for the construction of the Cahir By-Pass and the M8 and having considerable reserves of rock much have tremendous potential because of its accessibility to the road network”. The Joint Agents are guiding a figure in excess of €2m for the entire property which is for sale by Public Auction on Friday 19th October in the Horse & Jockey Hotel, Thurles. If you require further information please contact Paddy Jordan on 045-433550 or John FitzGerald on 052-6121003. Period Residence (in need of renovation) on c. 104 Acres and Quarry with considerable reserves of limestone rock Paddy Jordan of Jordan Town & Country Estate Agents, Newbridge, Co. Kildare together with John FitzGerald of Dougan FitzGerald, Clonmel, Co. Tipperary have just been instructed on a very interesting property called Kedrah Castle Farm in Cahir. This farm which comprises a former dairy farm and equestrian property with a quarry includes a period residence which needs to be renovated. The property is laid out in 12 divisions all in permanent pasture and with the land partly post and railed with excellent shelter and internal roadways giving access to nearly all paddocks. There are several streams ensuring never failing water supply. 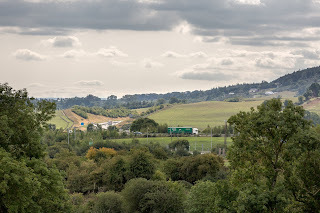 The property has a large limestone quarry which is not operational at the moment but has supplied rock to Cahir By-Pass (1985 and 1990) and the M8 (2007/2008). 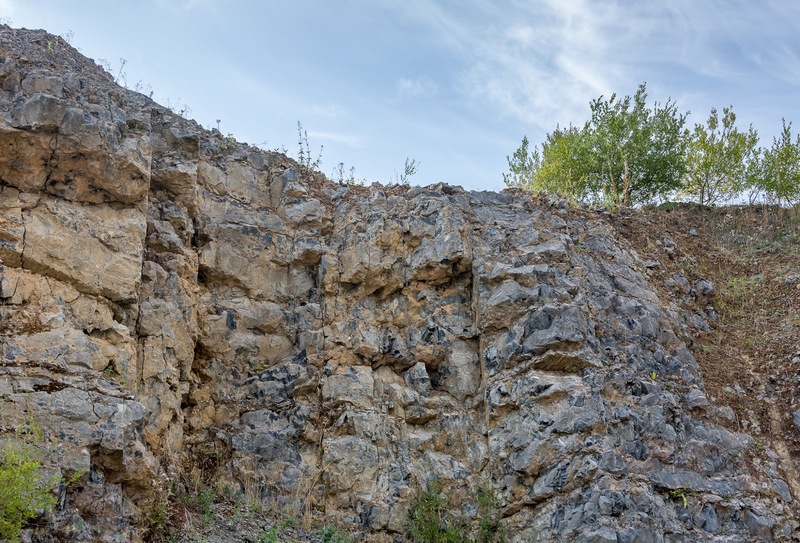 A professional assessment has been carried out of the quarry in November 2017 and shows to have considerable reserves of limestone rock. The quarry has its own access road from the R639 and includes a site office and weighbridge. The residence is an old stone and slate farmhouse extending to c. 2,400 sq.ft. and is attached to Kedrah Castle (a tower house in ruins) with some antiquities. Whilst it needs considerable upgrading it is a wonderful setting with panoramic views of the Galtee and Comeragh Mountains. The extensive concrete yard includes an array of buildings including 4 open sheds (2 with lean-tos) and useful workshop with inspection pit, 13 stables, 2 tack rooms, feed house, large sand arena and lunge ring. Whilst the farm was originally run as an intensive dairy farm it has been used as an equestrian centre, including livery and has hosted many pony club camps and rallys, hunter trails, carriage driving competitions, One and Two Star Eventing Ireland Horse Trial Events. It has also hosted an event called “Mayhem” which was a 5km cross country obstacle course and used to film “Ireland Fittest Family” an RTE TV production. Its location is of paramount importance just sitting off Exit 10 on the M8 Motorway, less than an hour from Cork and approximately 2 hours to Dublin. Commenting on the sale Paddy Jordan said “that whilst the quarry does not currently have planning permission there is precedent having been used for the construction of the Cahir By-Pass and the M8 and having considerable reserves of rock much have tremendous potential because of its accessibility to the road network”. The Joint Agents are guiding a figure in excess of €2m for the entire property which is for sale by Public Auction on Friday 19th October in the Horse & Jockey Hotel, Thurles. If you require further information please contact Paddy Jordan on 045-433550 or John FitzGerald on 052-6121003. Jordan Auctioneers, Newbridge are delighted to bring to the market a superb block of land with old Farmhouse and Yard on approximately 93 acres at Bogganstown, Co.Meath for sale by Public Auction. The property enjoys an excellent location within easy reach of a number of surrounding towns including Dunshaughlin (7 km), Dunboyne (11km), Maynooth (13 km), and Summerhill (12 km). One the strongest selling points according to the agents is ‘it’s accessibility to the Motorway network of the M4 (Junction7/ Maynooth) and M3 (Junction 6/ Dunshaughlin) in addition to this Dublin Airport is only 40 minutes and the City Centre is accessible in just over 30 minutes. The property is in a country setting surrounded by agricultural lands. The farmhouse and yard is well set back from the road and entirely private. Lot 1: House and yard on c. 83.5 acres. This lot comprises the main holding and is accessed via a private recessed entrance and gravel avenue leading to the old farmhouse and yard. The land is all in grass in a number of well sheltered divisions with some superb mature trees. The farmhouse although in need of renovation extends to c. 80 sq.m. (861 sq.ft.) and includes: kitchen (with solid fuel Aga cooker), utility, sitting room, bathroom and bedroom. Upstairs there is some storage space. Surrounding the house is an old orchard and a number of sheds including a 4 span hay barn with 2 lean-to’s, stone outbuildings and collecting pens. This 10 acres adjoins lot 1 above with independent road frontage, all in grass and occupying a superb elevated setting with spectacular views toward the Wicklow Mountains and directly over Maynooth. The entire is surrounded by natural hedgerows and mature timber and would make a lovely site for a residence (subject to usual PP). Speaking in advance of the sale Clive Kavanagh of the selling agents states that ‘Overall this property has huge potential and would be ideal as an equestrian training establishment, dry stock farm or for someone looking to buy a holding within close proximity to the City with an interest in country living and we expect good interest level’. Jordan Auctioneers, Newbridge are delighted to bring to the market 46.5 acres of top quality agricultural lands at Kill, Co.Kildare. The property is in an excellent location just outside the village of Kill (2km) with frontage onto both the Straffan and Barberstown road. It is easily accessible to a range of locations including Naas 8km, Straffan 8km, Newcastle 12km & Dublin 30km. Junction 7 of the Naas Dual Carriageway is only a 2 minute drive. The entire is close to a number of Golf Clubs including Palmerstown House, Castlewarden Golf & Country Club, The K Club and Kileen Golf Club. In addition to this Goffs Sales yard is a 5 minute drive and there is excellent accessibility to the racecourses of Naas, The Curragh, Punchestown & Leopardstown. The landholding is being offered for sale in 3 lots. 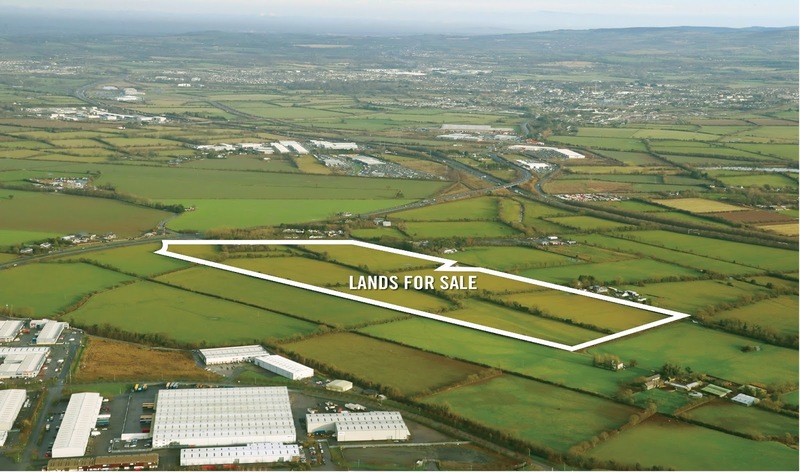 Lot 1: 9.5 acres (3.84 ha) of top quality lands with frontage onto the Straffan road of about 240 metres. Currently in 2 divisions the entire would be an ideal site for a residence subject to obtaining the necessary Planning Permission. 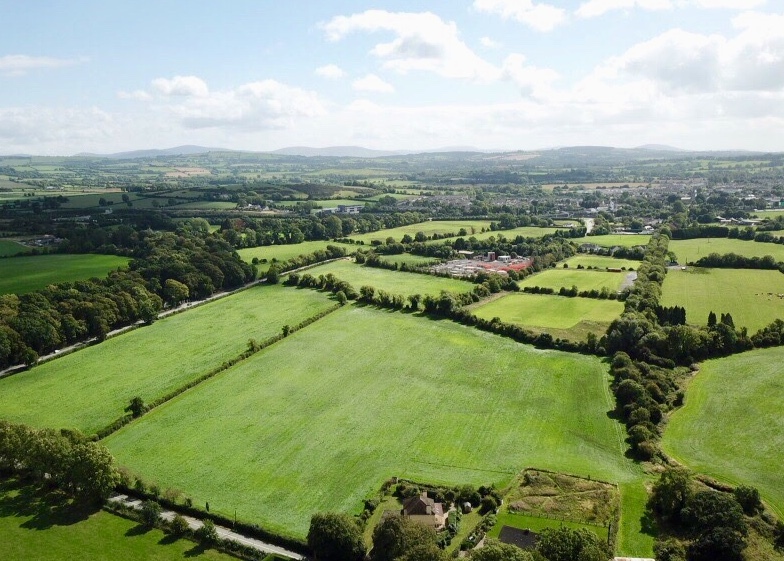 Lot 2: 37 acres (15 hectares) of excellent quality land in 3 large divisions with frontage onto both the Straffan (375 metres) and Barberstown road (350 metres). There are natural boundaries and hedgerows throughout and the Painstown River flows through the lands. Jordan’s are giving a guide price of €12,000 per acre for the holding and the Auction is scheduled for Friday the 12th October at 3pm in the Keadeen Hotel, Newbridge. Additional information is available from Clive Kavanagh or Paddy Jordan of the selling agents. Jordan Auctioneers, Newbridge are delighted to bring to the market 39 acres of top quality agricultural lands at Oulart, Co.Wexford. The property is in an excellent location halfway between the towns of Gorey (23km) to the north and Wexford (21km) to the south. It is also accessible to a range of other destinations including Enniscorthy (14km), Blackwater (9km) and Kilmuckridge (9km). The property has substantial road frontage of circa 500 meters and is being offered for sale in its entirety. The lands are currently in stubble and laid out in 2 divisions. They are described by Clive Kavanagh of the selling agents as ‘excellent quality suitable for any number of uses’. In addition to this there is a derelict farmhouse & yard which provides some potential for a new purchaser to apply for Planning Permission for a replacement. Jordan’s are giving a guide price of €12,000 per acre for the holding and the Auction is scheduled for Wednesday the 10th October at 3pm in the Riverside Hotel Enniscorthy. Additional information is available from Clive Kavanagh or Paddy Jordan of the selling agents on 045 – 433550. Jordan Auctioneers have just been instructed in the sale of a very nice property at Martinstown, The Curragh. The property comprises c. 32.247 Acres of top grassland with some mature timber. Situated 7km Kilcullen, 10km Kildare and Newbridge, it is centrally located and has the benefit of a never failing water supply with a stream running through it. The property is within easy access of the M7 and the M9 and is being offered in 3 lots which includes valuable 1.6 Acre site, with mature hedgerows and ideal for a one off residence (subject to planning permission). It also features a water feature with a small stream along one boundary. Lot 2: Very nice mature site c. 1.6 Acres, ideal for a residence subject to the usual planning permission. The property is for sale by Public Auction on Wednesday 26th September 2018 @ 3.00pm in the Keadeen Hotel, Newbridge (unless previously sold) and Jordan’s are quoting €12,000 per acre and report very good interest in it already having just come on the market. Additional information is available from Paddy Jordan or Clive Kavanagh on 045 – 433550. Jordan Auctioneers, Newbridge successfully sold 36 acres just outside Dunlavin by Public Auction on Tuesday last. Before an attendance of about 10 people the property opened with an initial bid of €250,000 with two active purchasers. 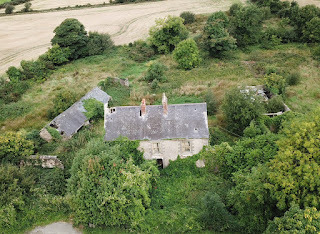 The property was place on the market at €300,000 and with several more bids from the same parties the hammer dropped at €415,000 equating to a price of €11,500 per acre. The purchaser is believed to be a local based farmer. The entire was in an accessible location circa 4km from Dunlavin, 16km Blessington, 18km Baltinglass.. It had frontage onto two Cul – de –sac roads and came with a 3 span lean too’ shed. Laid out in circa 8 divisions the lands were all in grass and described as ‘excellent quality’ by Clive Kavanagh of the selling agents. 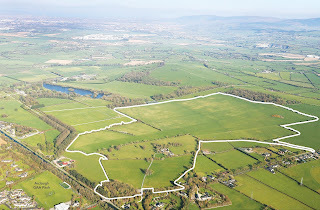 In a crowded Auction Room Paddy Jordan of Jordan Town & Country Estate Agents opened the bidding for Landscape Stud at €1m and it quickly went to €1.65m, at which stage it was put on the market and was sold for €1.83m to an overseas buyer with equestrian interests. There were 3 disappointed underbidders all from overseas with 2 having an equestrian interest. This wonderful property on the Tipperary/Waterford border, was the property of the late Phonsie O’Brien. Landscape Stud includes a fine Georgian residence (c. 4,500 sq.ft.) with compact stud yard, 14 boxes, staff flat and ancillary facilities on c. 91 Acres in a wonderful mature setting overlooking the River Suir. Paddy Jordan commented that all were very satisfied with the price achieved on the day. Jordan Auctioneers successfully sold a lovely cottage at Sunnyhill, Kilcullen by Auction on Monday last. The property comprised a detached cottage style bungalow on circa 0.45 acres extending to c.120 sq.m (1300 sq.ft). The accommodation comprises living room, kitchen, utility, bathroom & 2 bedrooms (1 ensuite). Outside there are lawned gardens, electric gates and potential to extend if required. Jordan’s had been quoting a price of €280,000 prior to Auction and bidding opened at €250,000 with 2 active purchasers. The property was placed on the market at €280,000 before being sold for €326,000. Speaking after the Auction Clive Kavanagh said ‘one of the most attractive features of the property was its location directly opposite Castlemartin House & Estate’. It is understood the property was bought by a an overseas couple. Jordan Auctioneers successfully sold a cottage and old farmyard on 23 acres just outside the village of Sallins, Co. Kildare by Public Auction on Monday last. Before an attendance of about 30 people the entire opened with an initial bid of €300,000 and with several active purchasers bidding was brisk up to €400,000 at which stage the agents took instructions from the vendor and placed the property on the market. Two to three bidders then fought it out before the hammer dropped at €546,000 to a Solicitor acting in trust for a client. Jordan’s has been quoting €350,000 prior to Auction and Clive commented that ‘the sale had generated substantial interest from the outset largely due to the location, lot size and the existence of the cottage’. 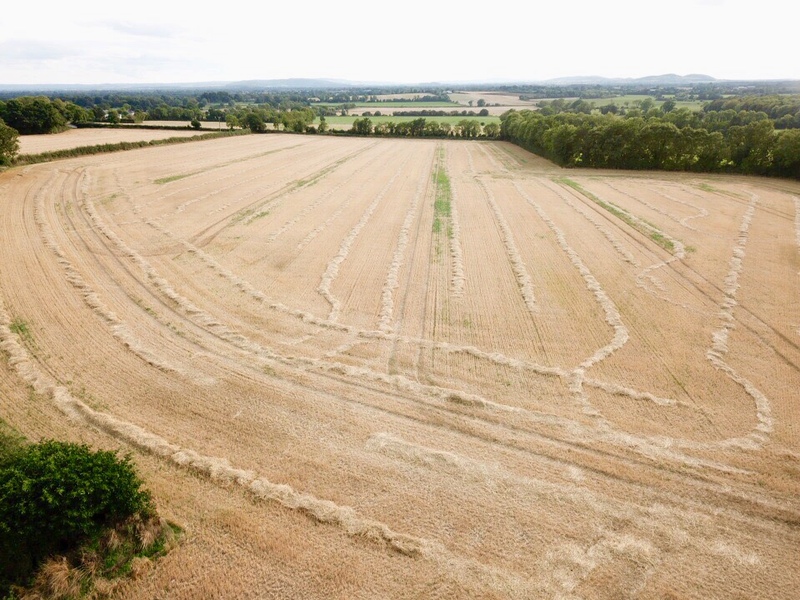 Jordan Auctioneers are bringing to the market a splendid parcel of land extending to just over 36 acres at Crehelp, Dunlavin, Co.Wicklow. The property is in an accessible location circa 4km from Dunlavin, 16km Blessington, 18km Baltinglass and only 2km from the N81. The land has frontage onto two Cul – de –sac roads and comes with a 3 span lean too’ shed. Laid out in circa 8 divisions the lands are all in grass and described as ‘excellent quality’ with a combination of natural and fenced boundaries’. The entire would also be an ideal site for a residence subject to obtaining the necessary Planning Permission. The property is for sale by Public Auction on Tuesday 31st July 2018 @ 3.00pm in the Keadeen Hotel, Newbridge (unless previously sold) and Jordan’s are quoting €8,000 per acre. Additional information is avaiaible from Paddy Jordan or Clive Kavanagh on 045 – 433550. Jordan Auctioneers, Newbridge are delighted to offer for sale by Public Auction a charming detached cottage style bungalow on circa 0.45 acres at Sunnyhill, Kilcullen. The property is in an excellent location at the junction of the Sunnyhill to Athgarvan road, directly opposite Castlemartin House & Estate. The entire extends to approximately 120 sq.m (1300 sq.ft) and is generally in good repair. The accommodation comprises living room, kitchen, utility, bathroom & 2 bedrooms (1 ensuite). Outside there are lawned gardens, electric gates and potential to extend if required. The property is for sale by Public Auction on Monday 23rd July @ 3.00pm in the Kedeen Hotel, Newbridge (unless previously sold) and Jordans are quoting €280,000 for additional information contact Paddy Jordan or Clive Kavanagh on 045 – 433550. Viewing is strictly by prior appointment. Paddy Jordan of Jordan Town & Country Estate have just been instructed it the sale of a very attractive property near Sallins which includes a cottage (in need of renovation) and yard standing on c. 23 acres of excellent land. Located at Sherlockstown and Prospect just outside Sallins Village 3½ km, 6 km Naas, 7km Clane and M7 Motorway access is via Junction 9 (Naas North) leading both north and south. The property extends to 9.32 hectares (23 acres) together with a cottage and yard. The single storey cottage comprises c. 1,000 sq.ft. (92.9 sq.m.) with kitchen, bathroom, livingroom, utility, 3 bedrooms in need of complete renovation. Ideal for a replacement house subject to planning permission. The yard includes a 3 span haybarn and a few outhouses. 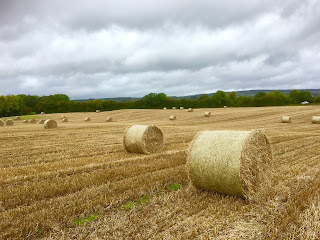 The lands are laid out in one block in two divisions currently in tillage with extensive road frontage with natural boundaries and hedgerows. 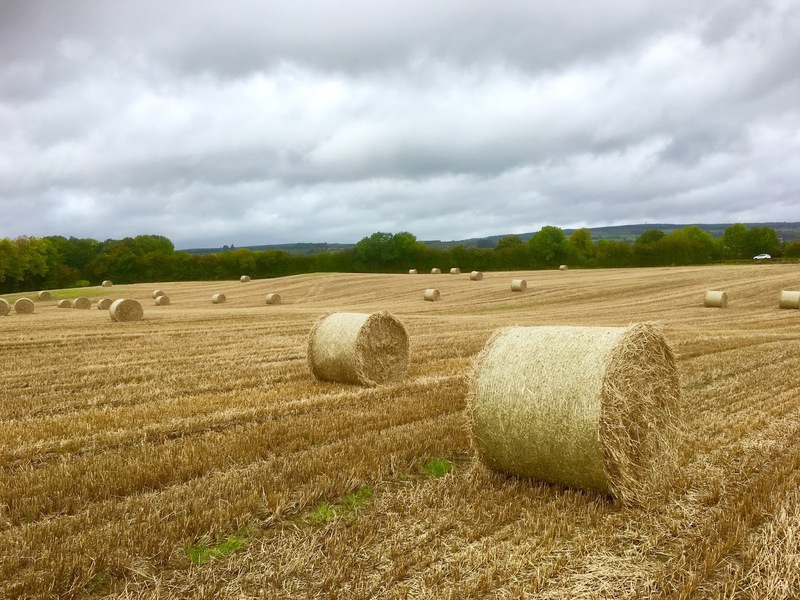 The land are top quality and suitable either for grazing or tillage. For Auction on Monday 23rd July @ 3pm in the Keadeen Hotel, Newbridge Jordans Auctioneers are issuing a guide price of €350,000. 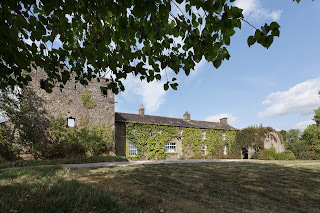 Paddy Jordan of Jordan Town & Country Estate Agents has just received instructions on a most wonderful property on the Tipperary/Waterford border, the property of the late Phonsie O’Brien. Landscape Stud includes a fine Georgian residence (c. 4,500 sq.ft.) 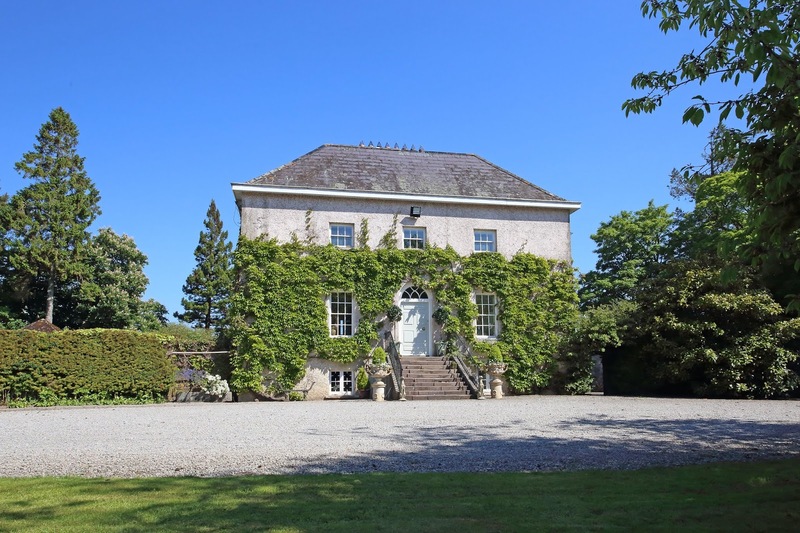 with compact stud yard, 14 boxes, staff flat and ancillary facilities on c. 91 Acres in a wonderful mature setting overlooking the River Suir. Landscape House was built in the 1790s and was originally part of the Mount Congreve Estate. The Congreves who had an eye for the future, planted many specimen trees that are still there to this day. Phonsie O Brien and his wife Ann bought the property in the late 1970s and have maintained the grounds in a way that the original owners would have been proud of. Phonsie was a successful amateur rider for his brother the famous Vincent O’Brien and among many other races rode the winner of 10 Gloucester hurdles at the Cheltenham Festival. In 1956 Phonsie took out a trainer’s licence and is best remembered for his four consecutive winners of the Galway Plate (which is a record to this day) and winning the Irish Derby with Chamour. Phonsie dedicated the next 40 years to Landscape and turned his attention to breeding and pinhooking national hunt foals with notable success. His second passion was fishing and many hours were spent with friends on the river telling yarns and catching salmon and trout. The property which is a delightful Georgian residence is situated in the heart of good hunting country with the Kilkennys, Tipperarys, Waterfords and Kilmoganny Harriers all nearby. Racing is in Clonmel, Gowran Park, Tramore, Tipperary and Cork. Whilst there is golf in Clonmel, Mount Juliet and Waterford. The property has a ¾ mile single bank fishing on the River Suir with plenty of trout and salmon. The accommodation includes: entrance hall, magnificent drawingroom, study/familyroom, diningroom, kitchen office, cloakroom, 4 bedrooms and 2 bathrooms. In addition there is a guest suite which includes a bedroom and bathroom. The yard includes 14 boxes, a 3 bedroom staff flat, haybarns, 8 unit walker, lunging ring, walled garden and 3 isolation boxes. The land is mainly limestone laid out in 8 paddocks all in permanent pasture with superb shelter and extensive road frontage. Its location just outside the Village of Kilsheelan 4 miles Clonmel, 7 miles Carrick on Suir and convenient to Waterford. The property is for sale by Public Auction on Wednesday 25th July @ 12.00pm in the Hotel Minella, Clonmel unless previously sold. Paddy Jordan is guiding €1.3m and Paddy commented that it is seldom that such an attractive property comes on the market and whilst it is being run as a private stud, it is also ideally suitable for the sport horse enthusiast, pinhooker, sales prep with a lovely family home. Jordan Auctioneers had an exciting day when Auctioning Spire Hill, Portarlington on Thursday last. Before a packed Auction room of about 30 people it was obvious from the outset that the property was going to get sold as several anxious bidders waited for proceedings to commence. Located on the edge of Portarlington, close to the train station the property was built in 1955 and has a gross internal floor area of 205 sq.m (2,206 sq.ft) on a superb enclosed site of about 6 acres. The house which was described as in ‘need of some modernisation’ has been very well maintained throughout with several large reception rooms and a total of 5 bedrooms. Outside there were two car ports, garage and a range of stores in addition to a limestone Coach House. The Auction opened with an initial bid of €300,000 and there were about 4 active bidders up to €400,000 when the property was placed on the market. 3 purchasers then fought it before the hammer fell at €580,000. The property had been guided at €350,000 but speaking after the Auction Clive Kavanagh of the selling agents reported that ‘right from the start there had been huge interest in the property with over 70 viewers throughout a 4 week period’. The main selling attributes according to Clive ‘were the ‘location, privacy of the house & gardens and the extra parcel of land’. Superbly located unique Residential Stud Farm on the edge of Newbridge with long term development potential has come on the market through Jordan Auctioneers. Located on the edge of Newbridge and just 700m from zoned land, it has 520m road frontage on to the busy Milltown road and must have tremendous potential. It is located 1.5 km from the commuter rail station to Dublin and 2.5km from the Main Street in Newbridge and just 40 km from Dublin City. The property is approached via a recessed entrance with a 350m tree - lined avenue leading to the residence and yards. The yards are well laid out with 14 boxes, tack room, feed house and toilet. There is a 3 span hay-shed with 2 lean – to’s and a 3 span machinery shed. There is also a large all weather sand arena (60mx30m) which is railed and sheltered. The Stud is owned by well known Galway based equine Veterinary Surgeons Ned and Liz OFlynn.They have reluctantly taken the decision to sell their farm in Kildare having made their principle base in Oranmore in Co Galway. Over the years Hawkfield House Stud has produced many top class horses including Olympic Gold Medal winner “Custom Made” bred by Liz OFlynn. The list also includes winners at Badminton 5 Star, Kentucky Rolex etc. “Galaxy Libra” Supreme Performance Champion RDS, “Oranmore”, Champion Horse of the Year Show UK, “ Trinity” winner RDS, “Mecca” twice winner RDS, “Nice and Easy”, 2nd Burghley and winner of numerous International Events. The property is to be auctioned on Thursday the 5th July 2018 in the Keadeen Hotel, Newbridge @ 3pm (unless previously sold) and Jordan’s are quoting a price of €1,300,000. Additional information is available from Paddy Jordan or Clive Kavanagh of Jordan Auctioneers 045-433550. Jordan Auctioneers are delighted to present “Lissadell”, an attractive and spacious detached bungalow on a circa 0.26 of an acre on the edge of Naas Town Centre. Located on the Blessington Road and within a very short walk of Main Street, “Lissadell” benefits from spacious accommodation, a detached garage and is surrounded by mature gardens which are south-west facing to the rear. Approached via a recessed entrance to a tarmacadam drive, the property extends to c. 1,820 sq.ft. (169 sq.m.) of well proportioned living accommodation with entrance hall, sitting room, kitchen, diningroom, utility room, 4 bedrooms, showerroom and en-suite with a conservatory to the rear overlooking the large private rear garden. Outside there is a garage and boiler house with the site enclosed by mature trees and hedges. Naas has a wealth of amenities including a superb selection of shops, pubs, restaurants, schools, leisure facilities and public transport with bus and rail services providing direct access to Dublin, the M7 and M9 Motorways both within easy reach. An ideal family home within walking distance of everything Naas has to offer. The property is an Executor Sale and is being sold by Public Auction on Wednesday 13th June at 3pm in Lawlors Hotel, Naas. Jordans are guiding €420,000 and viewing is strictly by prior appointment 045-433550. 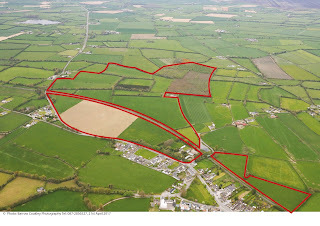 Jordan Auctioneers, Newbridge are delighted to bring to the market a splendid 220 acre farm for sale by Public Auction. Ardrass is a superb farm situated in a much sought after location about 1 km from Straffan Village and 2 km from Celbridge. 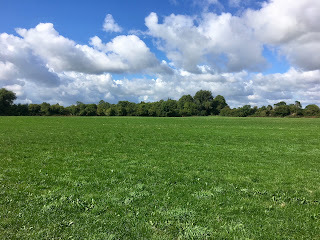 The farm is all in permanent pasture and described by the selling agents as ‘top quality land, with great shelter, superb views and extensive frontage onto 2 roads, it also has frontage on the River Liffey’. LOT 1: c. 67 acres. This lot has extensive road frontage and is bounded by the River Liffey. Laid out in 3 divisions with great shelter, it has wonderful views towards the Dublin Mountains. Its location beside Straffan Village makes it a good long term investment. Guide price is €12k. This lot has extensive frontage onto the Celbridge Road and is laid out in 6 divisions with tremendous shelter. This lot joins Lot 3 and is across the road from Lot 1. Guide price is €10k - €12k per acre. This lot joins lot 2 above and has extensive frontage on the Clane/Celbridge Road. Laid out in 10 well sheltered divisions with tremendous shelter. It includes St. Patricks Hill, believed to have some sand and gravel deposits. There are some superb views particularly towards the east and west. Guide price is €10 - €12k per acre. The property will be Auctioned on the 18th June 2018 at 3pm in the Glenroyal Hotel, Maynooth (unless previously sold). Further information is available from Paddy Jordan or Clive Kavanagh of the selling agents. Jordan Auctioneers, Newbridge successfully sold 10 acres of agricultural lands close to Ballybrittas, Co. Laois by Public Auction on Thursday last for an exceptionally high price of €177,500. Before an attendance of about 15 people bidding was lively throughout. The property opened with an offer of €100,000 and with 3 active purchasers up to €155,000 the property was placed on the market. Two parties fought it out before the hammer dropped at a price of €17,750 per acre to a local farmer. The property was located just off the old N7 National Primary Route between Monasterevin & Portlaoise approximately 2.5km from Ballybrittas and 3.5km from Killenard. The entire was all in permanent pasture with mains water supplied but had been sterilised from future development as part of an historic Planning Application. Speaking after the Auction Clive Kavanagh said the ‘land had generated substantial interest from the outset and although Planning Permission would be difficult to obtain it is likely a local based person with strong connections to the area might be able to achieve a favourable outcome’. 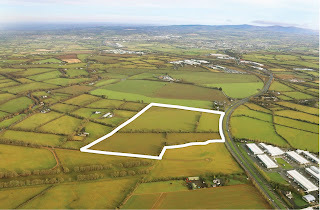 Jordan Auctioneers, Newbridge successfully sold yesterday at Auction a 1 Acre residentially zoned development site on the Green Road, Newbridge under the hammer. 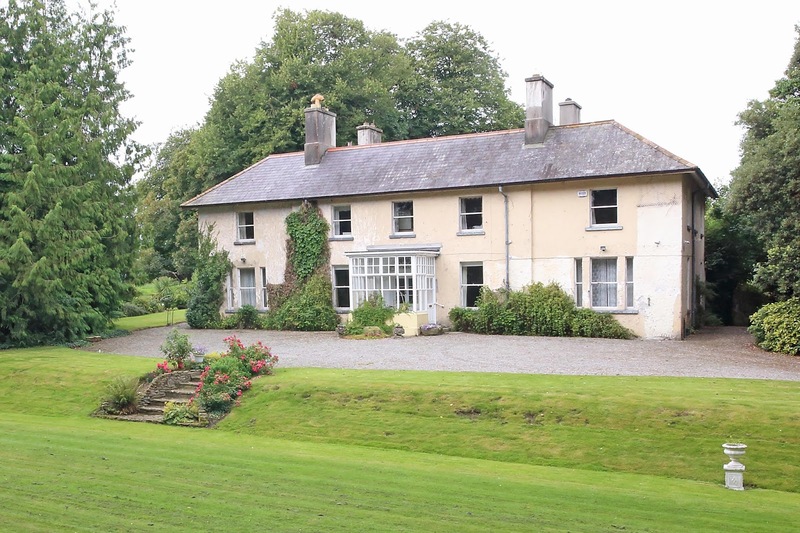 The sale generated considerable interest according to Liam Hargaden who were guiding €400,000 for the property. There were 4 bidders in the room with the offers commencing at €300,000 with very active bidding culminating with a sale price of €620,000. Liam Hargaden confirmed that there is great interest in residentially zoned land particularly within the commuter belt with access to the good road and rail infrastructure. 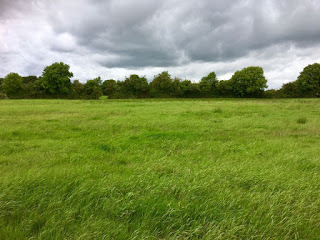 48.75 Acres Mooretown, Naas, Co. Kildare. 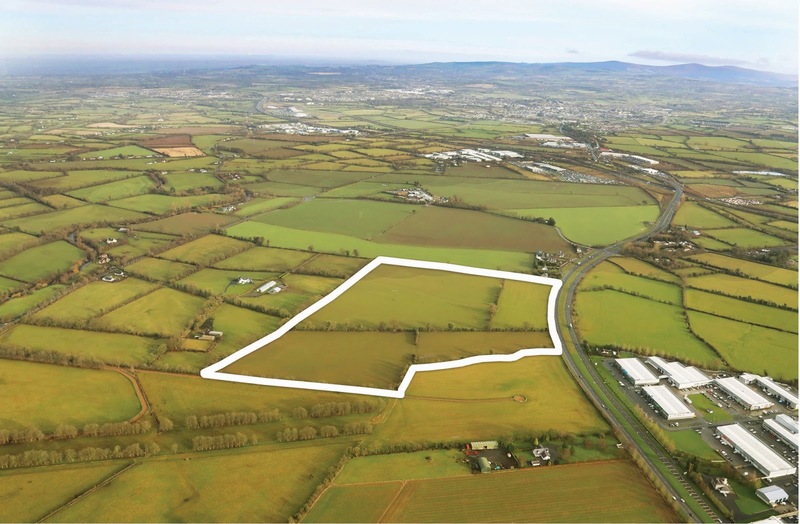 Jordan Auctioneers, Newbridge successfully sold two strategic land holdings located between Naas and Newbridge extending to an area of almost 107 acres for sale by Public Auction on Wednesday last. 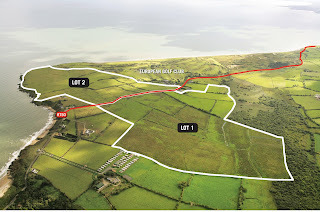 The combined selling prices represent a figure of almost €20,000 per acre. Before an attendance of about 25 people the first property offered for sale was 58 acres of lands at Ladytown with a small 3 bedroom cottage. Bidding opened at €800,000 with several active purchasers, the property was placed on the market by Auctioneer Paddy Jordan at €900,000 and with no further offers was subsequently declared sold. 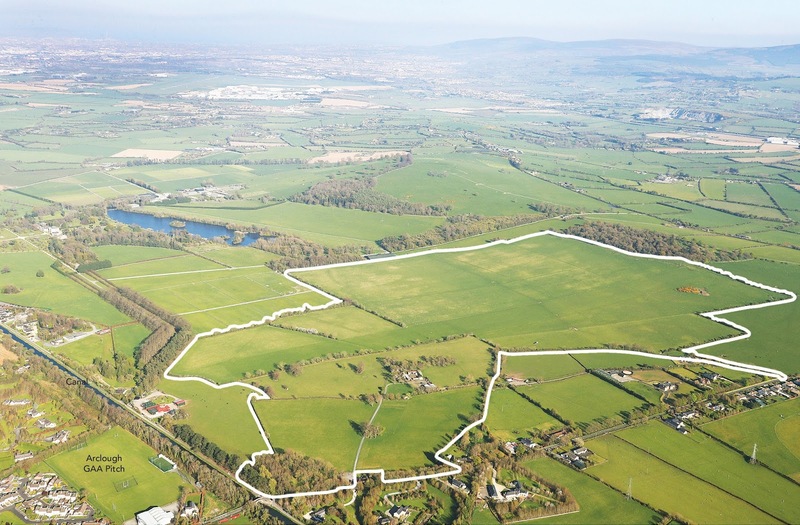 The second lot comprised 48 acres at Mooretown and this property opened with an initial bid of €600,000. Several parties remained involved before being eventually sold for €1,175,000 which is a figure of just under €24,000 per acre. Neither of the properties are currently zoned but they are close to a number of existing Industrial / Commercial developments and there is the possibility of some future potential. The properties benefited from good access to the M7 and this will be further improved with the completion of the Sallins Bypass and Third Lane from Naas South on the N7. Speaking after the Auction Paddy Jordan of the selling agents explained that there had been ‘exceptional interest in both holdings considering the prime location, accessibility and the quality of the lands. Most of those interested were taking a medium / long term view and included land bankers, pension funds and wealth management agencies. Both properties were bought in trust by Solicitors acting for undisclosed clients. 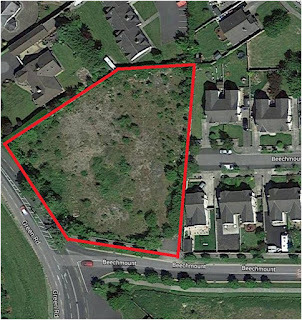 This is a prime residentially zoned site in a sought after location on the Green Road only a short walk from the Town Centre and the Curragh Plains. 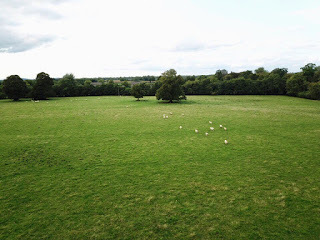 The lands are currently zoned residential under the Newbridge Local Area Plan 2013 – 2019. Planning permission previously existed for 13 apartments which has since expired. The area is a well proven selling location with adjoining developments such as Curragh Grange, Liffey Hall and Beechmount. We understand that all mains services are available to the site to include water, sewerage and gas but interested parties will have to satisfy themselves as to the connections and the capacity of such services. The area has the benefit of good road and rail infrastructure with the bus route available from the Green Road adjacent to the site, M7 motorway access at Junction 12 Ballymany and train service from the town direct to the City Centre. The property is for sale by Public Auction on Wednesday 9th May 2018 @ 3.00pm in the Keadeen Hotel, Newbridge unless previously sold through Liam Hargaden of Jordan Auctioneers 045-433550 who is guiding €400,000 and can be contacted for further information. Neither of the properties are currently zoned but they are close to a number of existing Industrial / Commercial developments and there is the possibility of some future potential. The Naas Town Plan which will cover the environs is currently up for review. Speaking about the properties Clive Kavanagh of the selling agents expects good interest levels considering the prime location, accessibility and the quality of the lands. He also states that there might be some long term development potential with the holdings so they could suit land bankers, or pension funds looking for suitable opportunities with growth potential. Jordans are quoting €12,000 per acre for both holdings and the Auction is scheduled for Wednesday the 18th April 2018 @ 3pm in the Keadeen Hotel, Newbridge (unless previously sold). Additional information is available by contacting Paddy Jordan or Clive Kavanagh on 045 – 433550. Situated approximately 200 metres from the world famous Curragh Plains and Moorefield GAA grounds, this is a great location in close proximity to the surrounding towns of Newbridge (c.2 miles) and Kildare (c.3 miles). Good road and rail links are closeby with the M7 Motorway access c. ½ mile at Junction 12, bus route and train service from Newbridge or Kildare. The property comprises a single storey stone faced cottage with slated roof containing c.498 sq. ft. (c.46.24 sq. m.) incorporating a livingroom, kitchenette, 2 bedrooms, toilet (in annex) standing on c.0.7 Acre site. In one of the largest agricultural land sales in County Wicklow Jordan Auctioneers successfully sold 240 acres at Ardanairy, Brittas Bay Co.Wicklow on Thursday last by Public Auction for a figure of €1,650,000. The purchaser is believed to be a Wicklow based farmer and the figure achieved was well in excess of the guide of €1.3m. The property was situated 3km from the M11 Motorway (Junction 19) at Jack Whites Cross and was offered for sale in 3 lots and while there were several interested parties for each section it was the entire which secured the highest bid. The land was all in grass divided by the local road into Lot 1 which extended to circa 131 acres and Lot 2 which comprised 109 acres adjoining the European Golf Course. The land was generally in need of some work and a portion was part of a Special Area of Conservation (SAC). In 2008 just prior to the economic collapse a major tourism resort had been planned on the lands to include a hotel, 18-hole golf course, holiday cottages, health spa, fitness centre and sports academy. The idea was to turn Brittas Bay into a year-round tourist destination with a diverse range of activities and facilities but the Planning Application was subsequently withdrawn before a decision was due and it now appears the land will continue in agricultural use. Jordan Auctioneers sold 13 acres of good quality land just outside the village of Tirmoghan, a short distance from Kilcock by Public Auction on Thursday last for a figure of €180,000 just short of €14,000 per acre. The property comprised good quality land, currently in grass laid out in 2 divisions. There were two active bidders at the Auction which opened with an initial offer of €100,000 with bids of €10,000 before the hammer fell at €180,000 to a local purchaser. Speaking after the Auction Clive Kavanagh of the selling agents stated that ‘there had been good interest in the land, particularly from people who were considering purchasing with a view to applying for Planning Permission for a house, its location close to Kilcock and the M4 meant that it was very accessible’. Next week Jordan’s Auction 240 acres near Brittas Bay, Co.Wicklow so they will be hoping to keep getting good results before the end of the 2017 selling season. Before a packed attendance on Tuesday last Jordan Auctioneers offered for sale Woodville House on 18 acres and 100 acres of agricultural land at Meelick Portlaoise, Co.Laois. 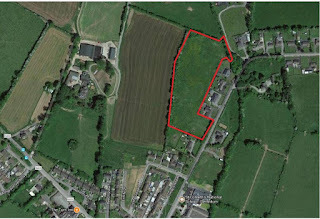 The land was offered for sale in 3 lots and while there were several bidders for lot 1 & lot 2 it developed that the entire was making more and this was put on the market at €1,300,000 before being sold for €1,350,000 to a local farming family. Jordan’s had guided the 100 acres at €1,000,000 so the sale price of €13,500 per acre was a strong reflection both of the market and the quality of the land. 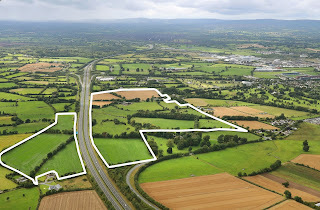 The entire was located a short distance from Junction 17, less than 3km from Portlaoise town centre with approximately 80 acres in one block with two farmyards and a further 20 acres on the opposite side of the Motorway. Next up was Woodville House which adjoined the above lands and this opened with an initial offer of €500,000 with two active bidders. The property was placed on the market at €610,000 and a number of further bids were received before the hammer dropped at €630,000 to a Solicitor acting in trust on behalf of an undisclosed client. Jordan’s had been guiding this lot at €625,000. Woodville, owned by the Odlum family was described by Jordan’s as a charming Georgian Residence with courtyard and Gate Lodge on c. 18 Acres of parkland and amenity grounds. Built originally in the 1800s the residence comprises c.5,000 sq.ft of accommodation and whilst in good repair required some upgrading. Jordan Town & Country Estate Agents in Newbridge are offering two valuable parcels of lands near Borris in Ossory for sale by Public Auction on Tuesday 7th November @ 3.00pm in the Abbeyleix Manor Hotel in Abbeyleix. 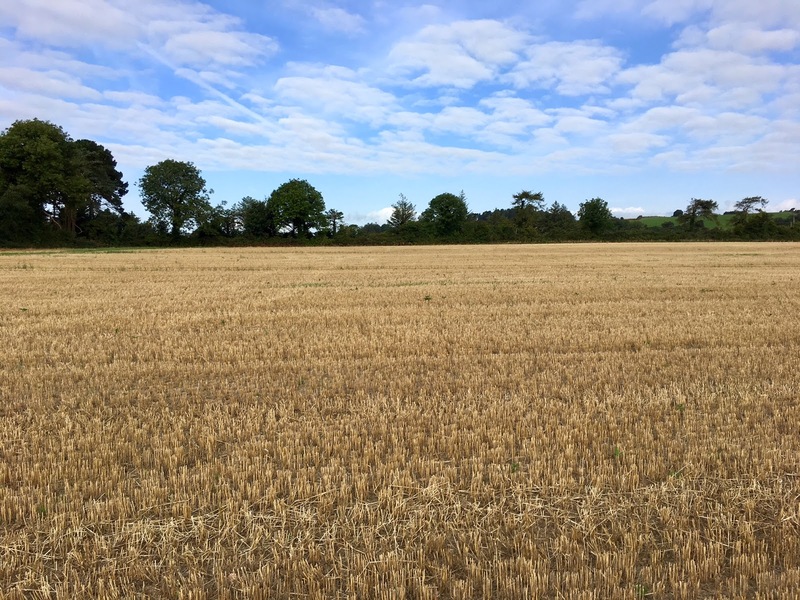 The land is being sold in two lots c. 24.192 acres of top quality land at Kilmartin currently in stubble situated on the old N7 Borris in Ossory to Roscrea Road. Beside this there is also a c. 95.480 acre holding at Ballaghmore the majority of which is in tillage, it also has a concrete holding yard with cattle crush. 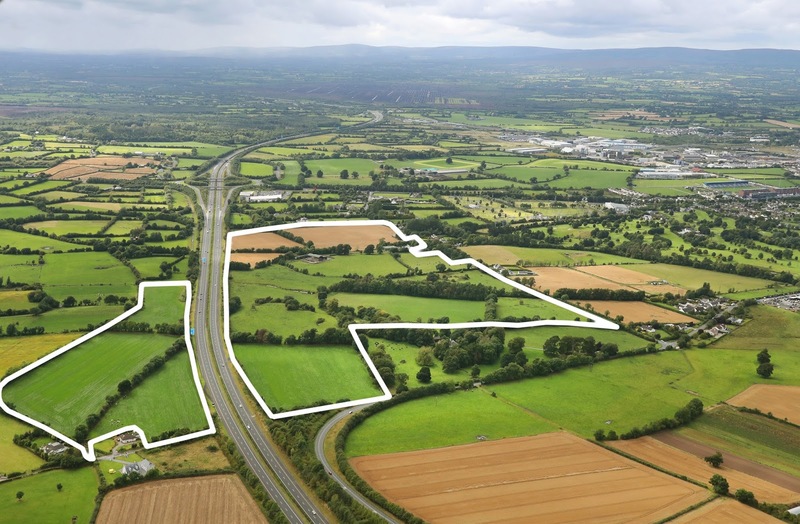 The lands are located about 2 miles from Borris in Ossory on the Roscrea Road c. 4 miles Roscrea and they have extensive road frontage on the N7 and within a few miles of the M7 Interchange at Borris in Ossory. The lands are believed to have deposits of sand, rock and gravel and there is an internal servicing all paddocks. 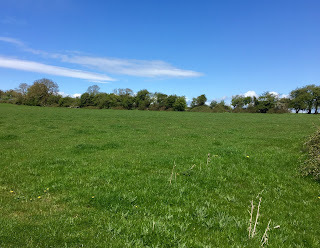 Paddy Jordan who is handling the sale said the property is ideally suitable for a dairying enterprise and is in an easily accessible location within a few miles of the M7 Interchange at Borris in Ossory. It is likely to be suitable to established farmers in the area who wish to expand. Jordans have issued a guide price of €10,000 per acre for the c. 24.192 acres and €600,000 for the c. 95.480 acres. Full details are available from Jordan at 045-433550. In one of the largest land sales to hit the market this Autumn Jordan Auctioneers, Newbridge are offering for sale 240 acres (97 hectares) adjoining Brittas Bay, Co.Wicklow for sale by Public Auction. The property is situated 3km from the M11 Motorway (Junction 19) at Jack Whites cross giving easy access to a range of destinations both north and south bound including Wicklow Town 15km, Arklow 11km, Dublin 55km & Gorey 40km. The area is a hugely popular holiday and tourism destination and the surrounding area features a number of popular holiday villages and caravan parks. The property also adjoins the world renowned "European Golf Course" which shares the spectacular coastline. Situated on the Western side of the R750 and comprising c. 53 hectares (131 acres) this lot is laid out in about 9 divisions. The land is predominantly in rough grazing but has been used as tillage land in the past. The lower lying sections to the North West are marginal quality with some bogland situated in a special area of conservation (SAC). This lot includes a number of stone outbuildings and the remnants of a former dwelling house. There is extensive road frontage of c. 500m along the R750. Guide price €655,000 (€5,000 per acre). This section comprises c. 44 hectares (109 acres). The land is laid out in c. 7 divisions and was previously used as a private landing strip. It includes an aircraft hanger and some additional buildings which are in disrepair. 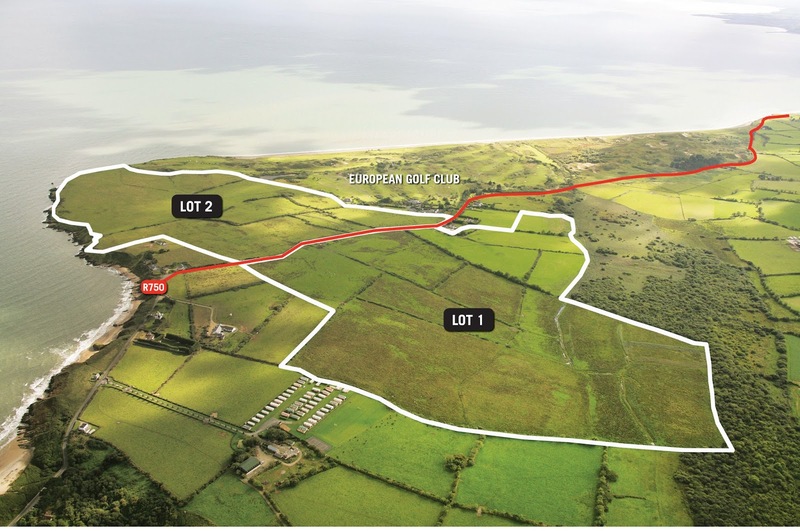 This section of land adjoins the world-renowned “European Golf Course” to the South and has extensive road frontage onto the main coast road linking Brittas Bay to Arklow (R750). Guide price €654,000 (€6,000 per acre). There is a small portion of land on the western section of the property which is designated a SPA, SAC and PNHA. This section is also under the Buckroney –Brittas Dunnes and Fen Sac. Further details are available from reviewing documentation with Wicklow County Council. According to the agents the land has ‘potential to be dramatically improved with proper management’ and represents an excellent opportunity to acquire a large land holding in one or two blocks at an affordable price’. Paddy Jordan commenting on the likely interest level indicated that ‘’it is likely that most of the interest will be agricultural related unless someone within the leisure industry sees a suitable opportunity considering its location’. The property will be offered by Public Auction on Thursday the 2nd November 2017 @ 3pm in the Glenview Hotel, Delgany (unless previously sold). Additional information is available from Paddy Jordan or Clive Kavanagh of the selling agents. Jordan Auctioneers, Newbridge are bringing to the market 13 acres of good quality land just outside the village of Tirmoghan, a short distance from the R407 between Kilcock (8km) and Clane (11km) in the townsland of Fanaghs & Lugadoo. The M4 Motorway can be accessed at Junction 8 (Kilcock). Donadea is 4.5km & Johnstownbridge 11km. The property comprises 5.22 hectares (13 acres) of good quality land, currently in grass laid out in 2 divisions. There are natural boundaries and hedgerows including some splendid mature timber. A stream divides the holding and the second paddock is elevated with good views to the west. There is frontage onto the local road with double gate agricultural entrance. According to the selling agent Clive Kavanagh ‘the entire would be ideal for the construction of a residence subject to obtaining the necessary Planning Permission’. Public Auction at 3pm on Thursday the 26th October 2017 in the Keadeen Hotel Newbridge (unless previously sold) and the agents are quoting €10,000 per acre. Further information is available by contacting Clive Kavanagh on 045 - 433550. Derrinturn Village is situated on the R403 approximately 37 miles West of Dublin with easy access of the M4 at Enfield (c.9 miles). The village has the benefit of primary school, church, pubs, pharmacy and shops on your doorstep. 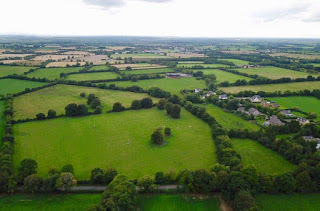 The lands are part zoned residential under Kildare County Development Plan 2017-2023 with c.3.7 Acres zoned New Residential and the balance of the c.2.3 Acres outside the Village Boundary. The surrounding area is predominantly residential with a school opposite the subject lands. We understand mains services including water, sewerage and electricity are available in the Village but interested parties will have to satisfy themselves as to the connectivity and capacity available for the subject lands. The property is for sale through Liam Hargaden of Jordan Auctioneers 045/433550 who is offering the property for sale by Public Auction on Thursday the 19th of October at 3 pm in Lawlor’s Hotel, Naas and is guiding €200,000. Situated on the Main Street in Dunlavin heading towards Kilcullen/Naas opposite the old Court House which is now the Library. 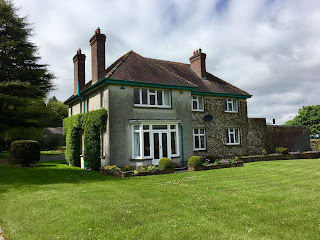 Dunlavin is a quaint village in West Wicklow c. 30 miles south west of Dublin just off the N81 Dublin/Baltinglass Road or also accessible from the N9 Kilcullen/Carlow road. The surrounding towns of Kilcullen 7 miles, Blessington 11 miles, Baltinglass 10 miles and Naas 10 miles offer a wealth of amenities and facilities within a short drive. The Village has the benefit of schools, churches, pubs and shops on your doorstep. The property comprises 3 houses in need of refurbishment standing on a superb c. 0.56 acre in the centre of the town. No. 1 – c. 82.45 sq.m. (c. 887.5 sq.ft.) two storey building with sittingroom, kitchen, store and 3 bedrooms. No. 3 – c. 103 sq.m. (c. 1,108 sq.ft.) two storey building with hall, livingroom, kitchen and 2 bedrooms. The property is zoned town centre under the Wicklow Development Plan 2010 – 2016 but we understand is currently up for review. This is an ideal development opportunity to suit a smaller builder/developer. The property is for Auction on Wednesday 4th October @ 3.00pm in the Keadeen Hotel, Newbridge unless previously sold and for further information or appointments to view you can contact Mark Neylon at Jordan Auctioners 045-433550 who is guiding €120,000. Jordan Auctioneers, Newbridge are offering for sale 100 acres by Public Auction in Meelick, Portlaoise, Co.Laois. The property is located a short distance from Junction 17, less than 3km from the town centre. The land is divided by the M7 Motorway with circa 20 acres on the southside via Sheffield Cross and the balance of 80 acres all in one block. Yard 1: Old stores and 2 five span hay sheds. Yard 2: Cattle handling facility with 6 span hayshed and lean-to with cubicles and silage pit. 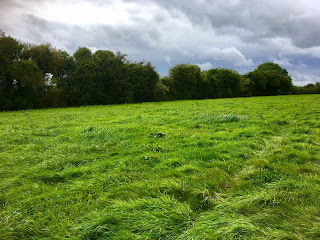 The lands are mainly in permanent pasture with c. 20 acre in tillage. There is a natural stream flowing through the lands with some mature timber and hedgerows on the boundaries. 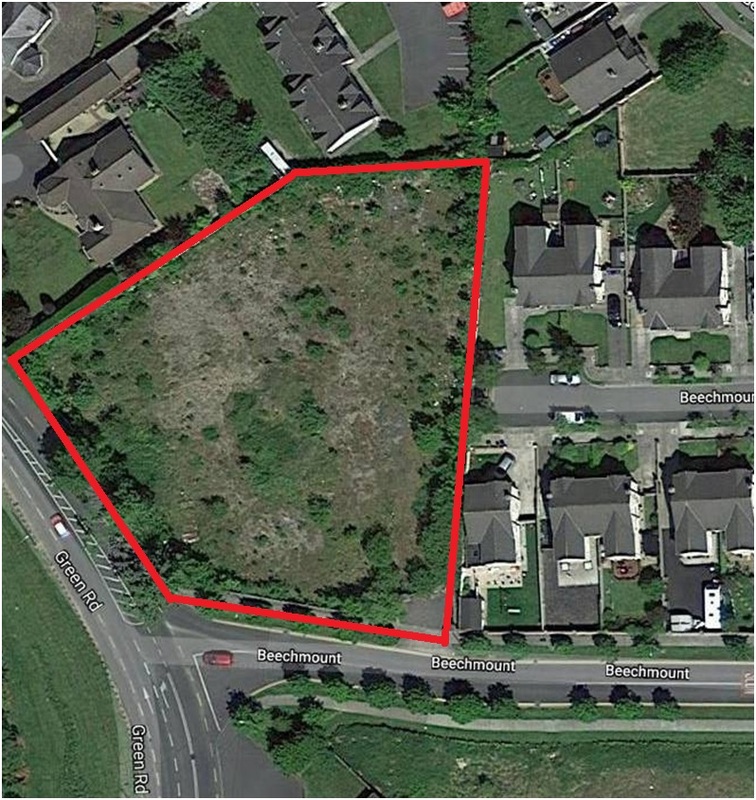 There is also extensive road frontage with the property and although it is outside the Development Boundary for Portlaoise under the Local Area Plan 2012-2018 there is some possible long term potential with the holding. Portlaoise is strategically located on the M7 giving direct motorway access to Dublin 90km, Cork 170km and convenient to Kildare, Carlow (38 km), Kilkenny (50km)and Tullamore (34 km). Portlaoise is served by regular train and bus services to Dublin. Also being offered for sale on the same day is ‘Woodville’ on 18 acres which is a Georgian residence with gate lodge and courtyard adjoining so there is the possibility to buy both holdings. Additional information is available from Paddy Jordan or Clive Kavanagh of the selling agents on 045 – 433550. Jordan Auctioneers, Newbridge have brought to the market ‘Woodville’, Portlaoise, Co. Laois for sale by Public Auction. Woodville is a unique property with charming Georgian Residence, courtyard and Gate Lodge on c. 18 Acres (7.28 ha) of parkland and amenity grounds. Built originally in the 1800s, Woodville is a delightful family home in a wonderful setting. The entire is set back from the road and approached via a recessed tree lined avenue, with superb mature timber. The residence comprises c. 464.5 sq.m. (5,000 sq.ft.) of accommodation and whilst a new roof was put on 5 years ago, the house would benefit from a general upgrade. The rooms, however, are well proportioned and ideal for entertaining with 6 bedrooms. In the courtyard adjacent to the residence there are 3 loose boxes, car port, 2 garages and a barn which are ideal for any number of uses. Outside there is a delightful front garden with terraced lawn, raised flowerbeds and many mature specimen trees including beech, oak and ash, ensuring a mature timbered setting and total privacy. There is also a walled garden which could be reinstated. A charming gate lodge is located inside the main entrance and although in need of renovation it has the potential to make a lovely guest suite, office or studio. 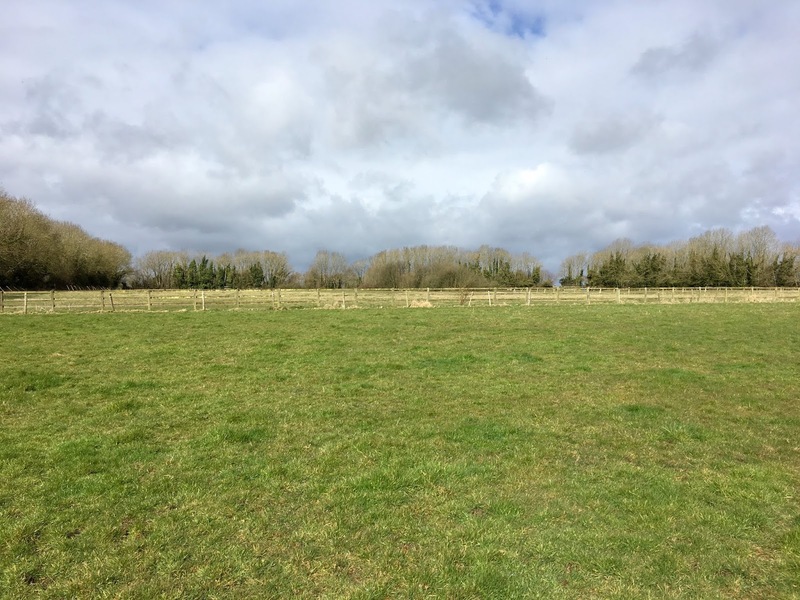 The land is laid out in 4 well sheltered paddocks with mature hedgerows and trees with extensive road frontage ensuring easy access. The entire adjoins the development boundary under the Portlaoise Local Area Plan 2012 – 2018 and ‘Woodville’ is a Protected Structure. The property is being guided at a figure of €625,000 and is to be Auctioned on Tuesday the 10th October @ 3pm in the Midland Park Hotel (formerly Heritage), Portlaoise (unless previously sold). Also being offered for sale on the same day is 100 acres of land adjoining with a farmyard so there is the possibility to buy both holdings. Jordan Auctioneers, Newbridge are bringing to the market 19.56 acres at Ballybrittas, Co. Laois for sale by Public Auction. 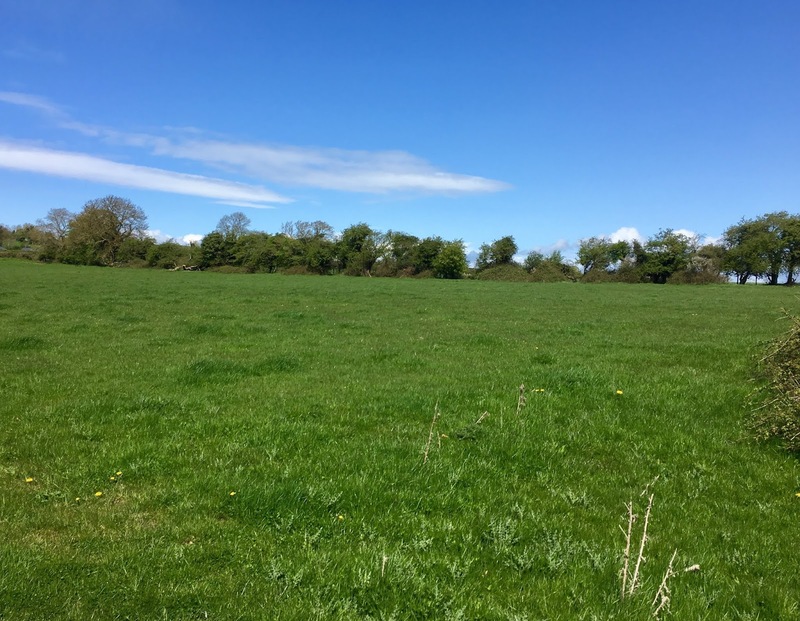 The property is located just off the old N7 National Primary Route between Monasterevin & Portlaoise approximately 1.5km from Ballybrittas and 3.5km from Killenard. The M7 Motorway can be accessed at New Inn approximately 6.5km to the south. The property is accessed via a right of way from the main road. The entire comprises c. 19.56 acres (7.916 hectares) with circa 15 acres under corn and the remainder in permanent pasture, part of which is low lying. Mains water is supplied to the holding and there is good shelter with mature hedgerows. The property is to be Auctioned on Thursday the 5th October 2017 in the Keadeen Hotel, Newbridge @ 3pm (unless previously sold). Jordan’s are quoting €140,000 for the land and further details are available by contacting Paddy Jordan or Clive Kavanagh. Jordan Auctioneers, Newbridge successfully sold a charming farmhouse on 6.5 acres just outside Kilcullen on Thursday last for €305,000. The property had been guided at €200,000 but according to the selling agent Clive Kavanagh ‘the marketing campaign had generated huge interest with in excess of 50 viewers’. The property comprised a detached farmhouse extending to circa 120 sq.m (1291 sq.ft) with old yard on 2.63 hectares (6.52 acres). The cottage itself required extensive renovation. Bidding for the property with an audience of around 25 people opened at €150,000 with over four active purchasers. The property was placed on the market at €290,000 and with several more bids the hammer dropped to a young couple. The property was offered for sale in three lots and there was active interest from the outset. Lot 1 comprised a detached bungalow (in need of refurbishment) together with a yard and 31 acres. This opened with an offer of €300,000, with four active bidders pushing the price up to €551,000. 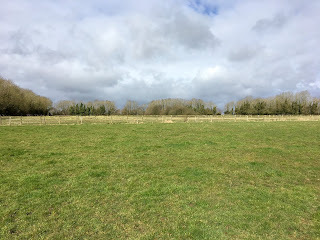 Lot 2 which was located across the road comprised 29 acres with no buildings all in permanent pasture and this opened with an initial offer €150,000 and was bid to €220,000. Lot 3 was the entire property and the offer of €772,000 secured the sale to a local party as there was no alteration in the prices offered for the individual lots when Auctioneer Paddy Jordan tried them for the last time. Overall the price reflects just under €13,000 per acre including the house and buildings. Speaking after the Auction Paddy Jordan said ‘there had been great interest in the property from the outset and the location combined with the quality of the land had driven the sale’. Paddy further commented that ‘land around the Athy area always tended to generate substantial interest which was perhaps a result of the strong and ambitious farming base’. Jordan Auctioneers, Newbridge on the instructions of the Executors sold a substantial house in the centre of Stradbally last week by Public Auction. Before an attendance of about 25 people the property opened with an initial bid of €150,000. It was evident from the outset that there were a number of potential purchasers and the bidding quickly rose to over €200,000 (guide price) at which stage the property was placed on the market. Two final purchasers battled it out before the hammer dropped to a young couple for €265,000. The property comprised a fine detached two storey late Georgian residence originally built in the late 1840’s and extending to c. 262 sq.m. (2,820 sq.ft.) on c. 0.19 hectares (0.46 acres). The property is accessed to the rear via electric gates and stands on a lovely mature site overlooking Cosby Hall. The gardens are walled in which provides privacy and are mainly in lawn with mature shrubs and herbaceous borders. Although the entire requires some modernisation it is generally in good repair with some fine plasterwork, window shutters and fireplaces. Clive Kavanagh speaking after the Auction said ‘the property had generated substantial interest from the outset with over 30 viewings and the vendors were delighted with the result on the day’. Jordan Auctioneers, Newbridge successfully sold Ashmount House in Clonygowan, Co.Offaly on 165 acres for a combined figure of €1,640,000. Before a large attendance of about 40 people the property was offered for sale in a number of lots but it was quickly evident that the entire unit was of more interest with 4 active bidders. The property opened at €1m rapidly increasing in bids up to €1,400,000 at which stage the property was placed on the market. Two active bidders fought it out before the hammer dropped at €1,640,000 to an undisclosed purchaser. 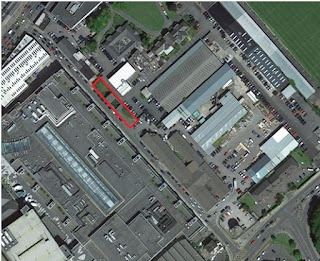 Lot 6 which was a small 6.35 acres located away from the main holding only received one bid of €40,000, was withdrawn and a deal was agreed after. Overall this was a fine property in a good location, located close to Tullamore and Portarlington with east access to both the M7 & M6 Motorways. Ashmount house itself was a well proportioned two storey residence built in circa 1850 and extending to c.240 sq.m (2583 sq.ft) comprising 3 reception rooms and 5 bedrooms. Immediately to the rear of the residence was a traditional yard with a number of stores and sheds including a lofted workshop. There was also a farmyard comprising a number of hay sheds. The entire was divided by the railway line with approximately 16.26 hectares (40 acres) including the house & yard on the southern side of railway with 50.38 hectares (124.5 acres) to the north. The land is in a combination of grass (94 acres), tillage (40 acres) and forestry (37.5 acres). Jordan Auctioneers, Newbridge are bringing to the market a farmhouse in a private setting on c. 6.5 acres which is likely to generate substantial interest when offered for sale. The property is in an excellent location just off the R418 Kilcullen (7km) to Athy (18km) road. The entire is easily accessible to the M9 Motorway (7km) and the towns of Newbridge & Kildare. The local settlement of Ballyshannon and Calverstown is close to the property. The property comprises a detached farmhouse extending to circa 120 sq.m (1291 sq.ft) with old yard on 2.63 hectares (6.52 acres) and is approached via a tree lined avenue with 2 fields all in grass. The cottage itself requires some renovation but comprises the following: 4 bedrooms, sitting room, living room, kitchen & bathroom. There are some electric storage heaters throughout the farmhouse in addition to solid fuel. Outside there are a number of old sheds and two paddocks which have been well minded and there is lovely mature hedgerows on the boundaries. The entire would be ideal for renovation or the replacement of the existing house (subject to obtaining the necessary Planning Permission). Paddy Jordan of Jordan Town & Country Estate Agents is offering a large non residential farm at Ardclough, Straffan. The farm which is situated 4km from Celbridge, 7km Rathcoole, 4km Kill and 10km Maynooth is convenient to both the M4 and M7 with Straffan 3km and Newcastle 4km. The property comprises a non residential farm with a derelict period residence and yard on some of the best limestone land in the area. 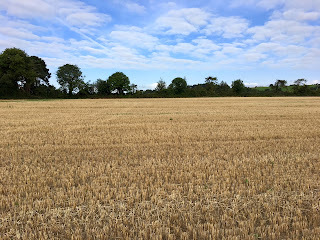 Situated beside the Village of Ardclough and adjoining the Lyons Estate, it has good road frontage and is currently in permanent pasture and laid out in 12 divisions, being also suitable for tillage. The original period residence is derelict but is set on a very nice site and aspect overlooking the farm, ideal for replacement residence (subject to usual P.P.). The farmyard includes haysheds, machinery sheds and some old stone buildings. It was well known in the area for a very good all weather gallop and it was formerly used as a training centre (however the gallop has been disused recently). For Sale by Public Auction on Wednesday 28th June in the Glenroyal Hotel, Maynooth at 3.00pm unless previously sold. Commenting on the sale Paddy Jordan said that there is quite a lot of interest in the property already and whilst it is currently in permanent pasture it is also ideal for tillage. The guide price is €2.75m and viewing is strictly by prior appointment – contact Jordans 045-433550. Jordan Auctioneers successfully sold 40 acres at Kilmead, Athy on Tuesday last following negotiations after the Auction. Before an attendance of about 20 people the property opened with an initial bid of €200,000 with two active purchasers. Having reached €320,000 and with no further offers the entire was withdrawn and following subsequent negotiations a deal was agreed for an undisclosed price. The purchaser is believed to be a local farmer. 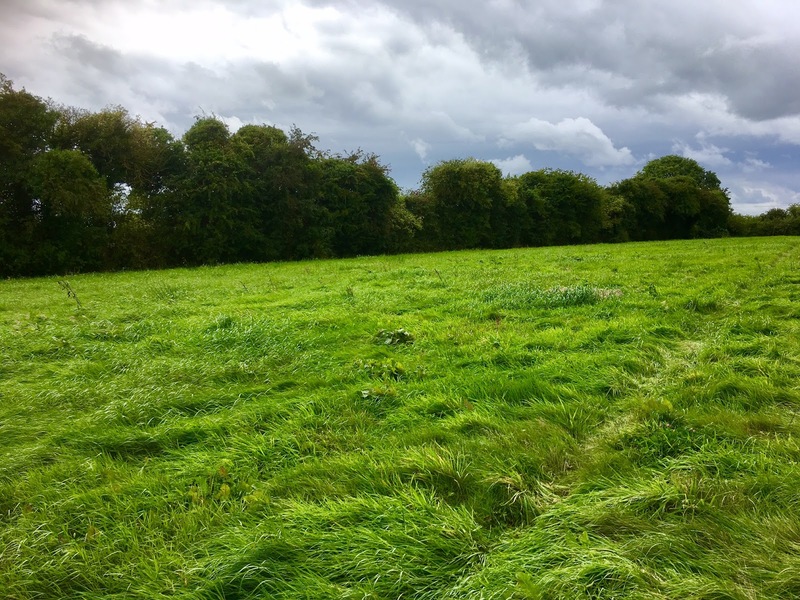 The property was located 8km north of Athy and 15km south of Kilcullen and was primarily in arable use with one field in grass. It also adjoined the development boundary for Kilmead and may have had some future long term potential. Jordan Town & Country Estate Agents and Leinster Marts are offering a very attractive property at Ballinabarna, Athy near the Moat of Ardscull. Which is just off the N78 Kilcullen/Athy Road. The property is to be offered in Lots and is an Executor’s Sale. 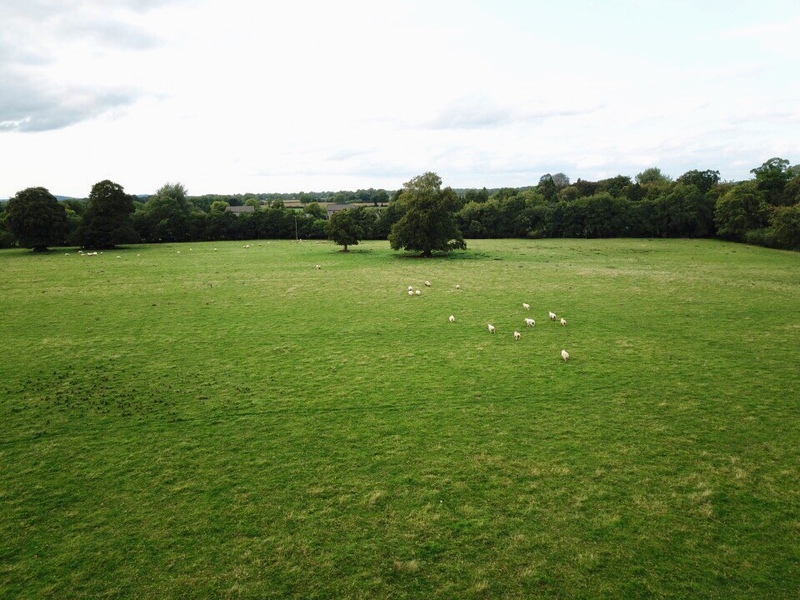 Lot 2: comprises 29 acres which is non residential and all in permanent pasture and across the road from the above. This also has good road frontage and is only a few miles from Athy, convenient to the M9 at Ballitore and Kilcullen. Guide Price: Excess of €200,000. Lot 3: The entire – Guide Price: Excess of €600,000. The property is for sale by Public Auction on Monday 24th July at 3.00pm in the Clanard Court Hotel in Athy unless previously sold. For further information or appointment to view please contact Jordans on 045-433550 or Leinster Marts on 087-2519062. Jordan Auctioneers, Newbridge are delighted to bring to the market a strategic commercial development site at Cutlery Road, Newbridge. The property occupies a high profile location on Cutlery Road opposite the Whitewater Shopping Centre and only 100 metres from the Main Street with banks, post office & Penneys on your doorstep. The site extends to approximately 0.09 hectares (0.22 acres) with c. 57.6 metres of frontage into Cutlery Road with a derelict detached single storey building on site. The subject site is Zoned Objective A - Town Centre “To provide for the development and improvement of appropriate town centre uses including retail, residential, commercial and civic uses” under the Newbridge Local Area Plan 2013 - 2019 and is likely to be of interest to a wide number of prospective parties. The Auction will be held on Wednesday 26th July 2017 at 3pm in Keadeen Hotel, Newbridge, Co. Kildare (unless previously sold) and Jordan’s are quoting €200,000. For additional information contact Paddy Jordan or Stephen Talbot on 045 – 433550. HOUSE IN STRADBALLY, CO. LAOIS. Jordan Auctioneers, Newbridge on the instructions of the Executors are offering for a sale a large detached Georgian House in the centre of Stradbally for sale by Public Auction with a guide price of €200,000. This fine detached two storey late Georgian residence originally built in the late 1840’s and extending to c. 400 sq.m. (4,305 sq.ft.) on c. 0.19 hectares (0.46 acres) is located in the centre of Stradbally Village. The property is accessed to the rear via electric gates and stands on a lovely mature site overlooking Cosby Hall. The gardens are walled in which provides privacy and are mainly in lawn with mature shrubs and herbaceous borders. Although the entire requires some modernisation it is generally in good repair with some fine plasterwork, window shutters and fireplaces. The accommodation provides for a number of reception rooms with 4 bedrooms. The property will be Auctioned on Friday 21st July 2017 @ 3.00pm In Midlands Park Hotel, Portlaoise (Formerly Portlaoise, Heritage Hotel) (unless previously sold). Additional information is available via Clive Kavanagh of the selling agents on 045 – 433550.